There’s just so much to say about this article about Sherry Turkle and her research, I hardly know where to begin. First, I suppose, her 1995 book Life on the Screen made an impression on me when I first started thinking seriously about how videogames evoke emotions. It seems we humans are so hardwired to feel love that we develop a spontaneous affection for devices that mimic living lovable creatures. We blissfully ignore the knowledge that a circuit board and mess of wires can’t actually return our love. Our need to love, it appears, is so strong that it trumps rationality at a very deep level. Japanese robotics engineers and designers have long understood this. 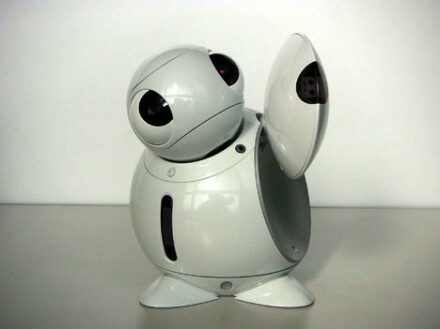 They’ve created robots to look after the elderly and provide companionship. The Aibo simulated a real dog to the point where a friend relates that his girlfriend broke down and cried after their little robot dog fell down the stairs. This fascinates me but I also understand why Turkle cautions us. As anyone who has been in a relationship of unrequited love understands, it’s dangerous and damaging when the love flows in only one direction. Because as strong as our need to love is, it’s balanced by our need to be loved, in turn, and a robot can’t provide that (yet…). The participants of the excellent documentary Guys and Dolls, about men who have relationships with RealDolls, seem to most people tragic figures who are unable to have relationships with actual living women. Perhaps their cases are examples of what happens when we go too far in developing affections for nonliving things? Still, there is much to explore here and I’m especially interested not in simulation devices (like robots) but in simulation situations and environments (like games) that provoke similar romantic or affectionate responses.